The Peggy Guggenheim Collection (May 19 – September 3, 2018) is the second venue of the exhibition, after the Solomon R. Guggenheim Museum. From November 3, 2017 through February 18, 2018, the Guggenheim Museum presents Josef Albers in Mexico, an exhibition illuminating the relationship between the forms and design of pre-Columbian monuments and the art of Josef Albers (b. 1888, Bottrop, Germany; d. 1976, New Haven). The presentation features a selection of rarely shown early paintings, iconic canvases from Albers’s Homage to the Square and Variant/Adobe series, and works on paper. The exhibition also includes a rich selection of photographs and photocollages, many of which have never before been on view and were created by Albers in response to frequent visits to Mexican archaeological sites beginning in the 1930s. With letters, studies, and unseen personal photographs alongside works drawn from the collections of Guggenheim Museum and the Josef and Anni Albers Foundation, Josef Albers in Mexico presents an opportunity to learn about the least known aspect of his practice, photography, offering new perspective on his most celebrated abstract works. 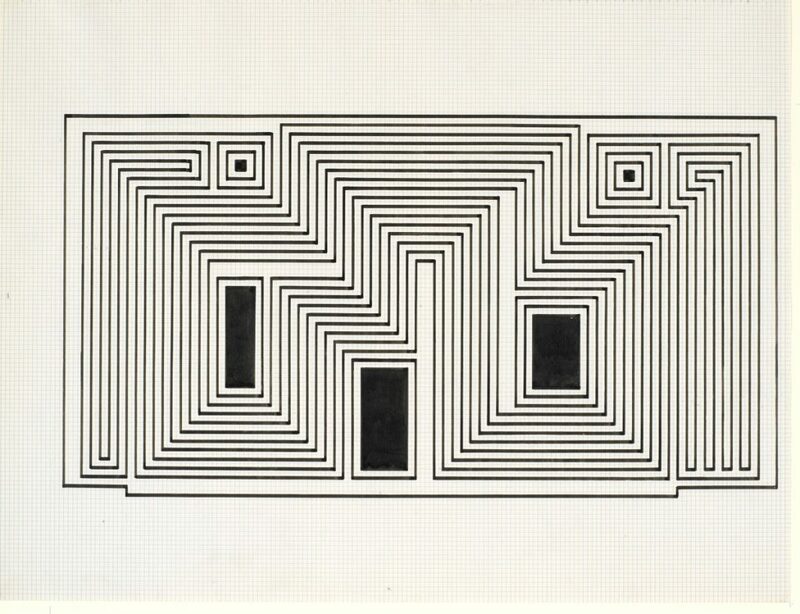 An artist, poet, theoretician, and professor of arts and design at the Bauhaus, Dessau and Berlin; Black Mountain College, Asheville, North Carolina; and Yale University, New Haven, Albers worked across the mediums of painting, printmaking, murals, and architecture. With his wife, the artist Anni Albers, he traveled to Mexico and other Latin American countries more than a dozen times from 1935 to 1967 to visit monuments of ancient Mesoamerica, which archaeologists were then excavating amid a resurgence of interest in pre-Columbian art and culture. On each visit, Albers took hundreds of black-and-white photographs of the pyramids, shrines, and sanctuaries at these sites, often grouping multiple images printed at various sizes onto paperboard sheets. The resulting photographs and photocollages reveal Albers’s innovative, if understudied, approach to photography and also underscore the importance of seriality within his overall body of work. 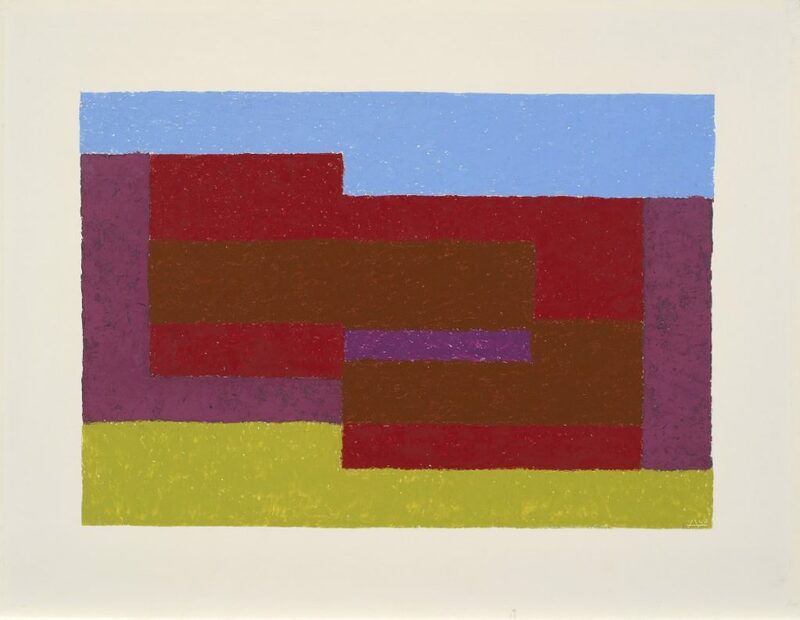 Albers’s collaged images also suggest a nuanced relationship between the geometry and design elements of pre-Columbian monuments and the artist’s iconic abstract canvases and works on paper.